So I am so excited to do this review. I love baking and to have the opportunity to use some of these was amazing! So to begin with I went onto their website with £15 to spend. I looked through their amazing range of toppers. You had the choice of some designs that had already been made or you could make your own. I chose 3 different toppers. 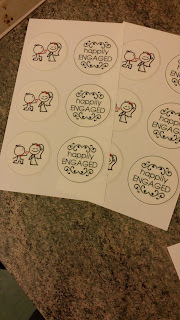 The first I chose was the 'happily engaged' set. 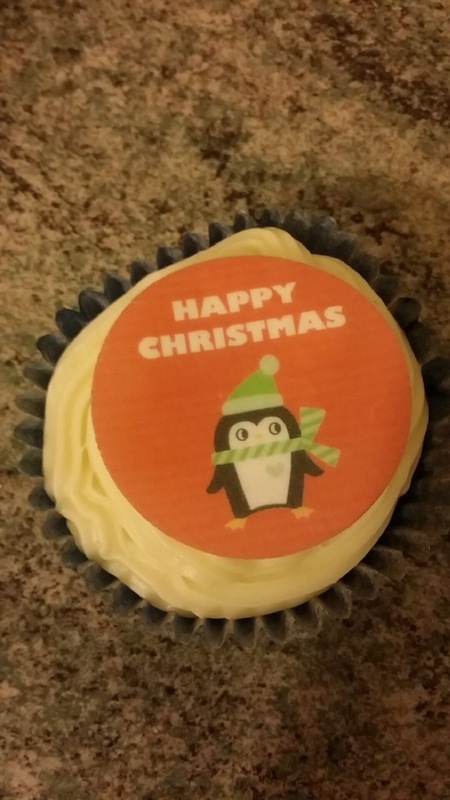 This contained 12, 2.13 inch edible icing toppers which cost £6.00. The second set was the 'Santa and Rudolph' set, which contained 12, 2.13" edible icing toppers which also cost £6.00. 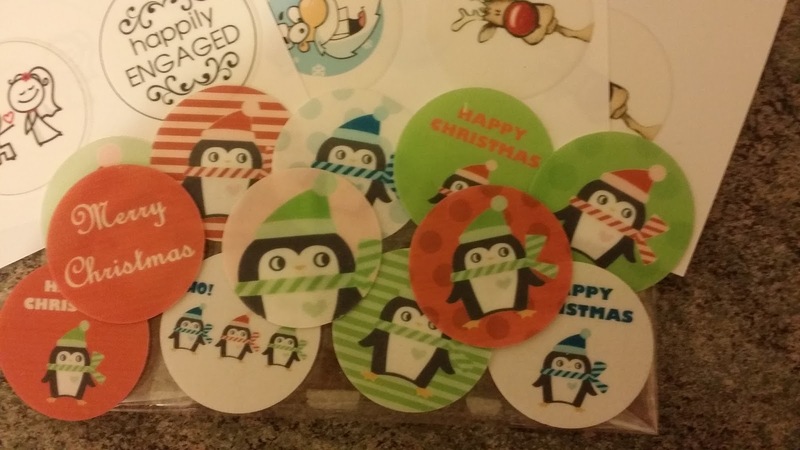 The final set was the 'Christmas penguin' rice paper toppers which contained 2, 2.13" toppers which cost £2.20. This all together came to £14.20. I also had to pay £1.15 shipping which brought the overall total to £15.35. I ordered my cupcake toppers on Wednesday and immediately received a message to tell me that the order has been placed. I then received another message the following day to tell me that my order had been dispatched. When I paid for the shipping i was told that it would take between 1-3 working days. However, I didn't expect the toppers to arrive on the Friday! The speedy delivery was brilliant and I was really pleased. All of the toppers looked amazing and the smell was divine!! They can beautifully wrapped and have been really well preserved since. 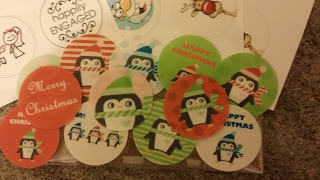 I have only used the rice paper toppers (the Christmas penguins) as I am saving the others for special occasions. 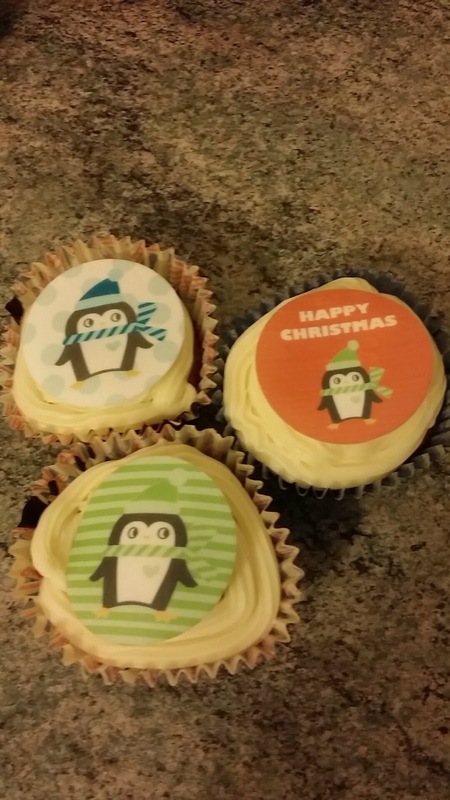 The rice paper templates tasted amazing and looking brilliant on top of my cupcakes. 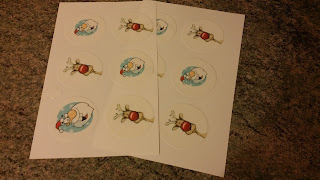 I was really happy with the outcome and would really think about using them again. I also cant wait to make some more with the toppers I have left. 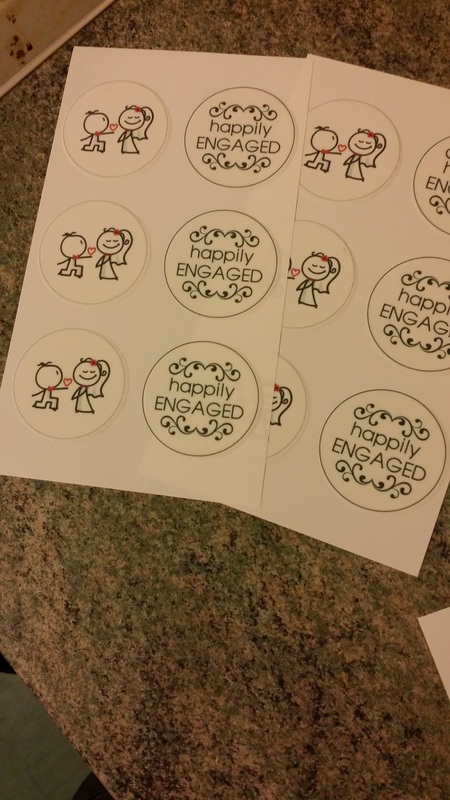 To get your toppers head over to the my cupcake toppers website by clicking the link here! !